Christian or cultic in nature? In the King James Version that passage reads: “And he [a saint] said unto me, ‘Unto 2,300 days, then shall the sanctuary be cleansed. '” This is a prophecy about the desecration of the Temple by Antiochus Epiphanes. But Miller applied it to the end times by converting the days into years. Assuming the prophecy was given in 457 BC, he calculated that Jesus would return 2,300 years later, sometime between March 21, 1843 and March 21, 1844. Incredibly, he interpreted the “cleansing of the sanctuary” to refer to the purging of the earth by fire at the Second Coming of Jesus! There is absolutely no valid biblical basis for this bizarre doctrine. As pointed out earlier, it is based upon a misinterpretation and misapplication of Daniel 8:14. The prophecy concerns the actions of Antiochus Epiphanes (215-164 BC). It refers to a restoration of “the holy place” after it has been “trampled.” This occurred when Antiochus took Jerusalem in 167 BC and stopped the sacrifices in the Temple. This led to the Maccabean revolt which succeeded in reconquering Jerusalem. In 164 BC the Jews cleansed and rededicated the Temple. Hanukkah is the eight day festival celebrating this event. Applying this prophecy to the Heavenly sanctuary is ridiculous. Since when has the Holy of Holies in Heaven ever been defiled or trampled down? Since when has it needed to be restored? The prophecy also refers to a time period during which the “holy place” will remain desecrated. That time period is “2,300 evenings and mornings.” The King James version translates this to read “2,300 days.” William Miller converted these days into years. SDA teachers defend this conversion on the basis of Numbers 14:34 and Ezekiel 4:6 where prophets were specifically told to interpret days in their prophecies as years. But those verses have no application to Daniel 8:14. More significant is the fact that the whole concept of “investigative judgment” is unbiblical and contrary to the true Gospel as revealed in the New Testament. Jesus entered the Holy of Holies in Heaven immediately after His Ascension, and not in 1844 (Hebrews 1:3, 6:19-20, 8:1, 9:6-12, 24 and 12:2). His atoning work is not continuing in Heaven. It was finished on the Cross (John 19:30 and Romans 3:24-26). Jesus is currently serving as our High Priest before the Father’s throne (Hebrews 8:1-2). Further, the Bible teaches that a believer’s sins are both forgiven and forgotten (Hebrews 8:12). Believers will never be subjected to a judgment of their works to determine their salvation (John 5:24 and Hebrews 9:28). There is no condemnation for the person who has placed his or her faith in Jesus as Lord and Savior (Romans 8:1). The believer can be assured of salvation (1 John 5:13). As believers walk in faith, they experience a continual cleansing of sin by the blood of Jesus (1 John 1:7). The concept of an “investigative judgment” is a blasphemy of the blood of Jesus because it asserts that His death on the Cross was insufficient to guarantee a believer’s salvation. Instead, Jesus must continue His atoning work by evaluating the works of each believer. The bottom line regarding the pernicious doctrine of the “investigative judgment” is that it represents a desperate attempt to salvage an incorrect prophecy. 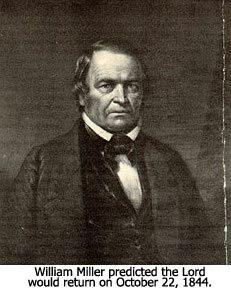 William Miller was a sincere Baptist preacher who misinterpreted a biblical passage and inappropriately used it to set a date for the Lord’s return. When his prophecy failed, he took responsibility for his mistake and repented for all the grief and embarrassment he had caused. But his error led to the rise of a true false prophet who spiritualized Miller’s prophecy and then used that spiritualization to manufacture a doctrine that is alien to the Word of God. Did you notice that in this statement Ellen White directly contradicts Jesus? What did Jesus say when He was asked to identify the greatest commandment? He said: “Love the Lord your God with all your heart, and with all your soul, and with all your mind. This is the first and greatest commandment” (Matthew 22:37-38). The fact of the matter is that Sabbath-keeping was prescribed by God to the Jewish people. This law was never given to the Gentiles, nor was it given to the Church. The Law of Moses was nailed to the Cross (Colossians 2:14). The death of Jesus inaugurated a New Covenant — a covenant written on the heart (Jeremiah 31:31-34 and Hebrews 9:15). In His teaching, Jesus emphasized nine of the Ten Commandments and expanded them in scope to apply to our thoughts as well as our actions (Matthew 5-7). He never commanded the Church to observe the Sabbath. When the Church began to convert Gentiles, the issue arose as to how many of the laws of Judaism the Gentiles would be required to observe. For example, should Gentiles be required to submit to circumcision? The issue was so important that it prompted the convening of the first church council (Acts 15). At that council it was decided that Gentile converts should not be “troubled” with Jewish customs. They were simply told to “abstain from things contaminated by idols and from fornication and from what is strangled and from blood” (Acts 15:20). If Sabbath-keeping was the most important of all commandments, why was it not mentioned? There is ample evidence that the early Christians met on Sunday from the beginning in order to remember the Lord’s resurrection on that day. References to these meetings can be found in Acts 20:7 and 1 Corinthians 16:1-2. The Seventh-Day Adventists have every right to worship on Saturday if they so please. What they have no right to do (but what they have always done and continue to do) is condemn those who choose to worship on Sunday. With this survey of the SDA as a basis, let’s return to our original question — Is the Church a legitimate expression of Christianity, or is it a cult? First and foremost is the group’s concept of Jesus. Our salvation depends upon our relationship with Jesus — the true Jesus of Nazareth who revealed Himself to the world as God in the flesh (John 14:9-11). There is salvation in no other person (Acts 4:10-12). There is salvation in no other way except through Jesus (John 14:6). Cults are notorious for presenting a false Jesus. Reverend Sun Myung Moon claims to be the Messiah himself. The Jehovah’s Witnesses claim Jesus is the Archangel Michael. The Mormons view Jesus as one of many gods created by the super-god whom they believe is an exalted man. We can be wrong about many things, but if we are right about Jesus, we can be saved. Likewise, we can be right about many things, but if we are wrong about Jesus, we can be lost. To be saved, we must put our faith in Jesus — the Jesus revealed in the Word of God (John 17:3). The official creedal statement of the SDA concerning Jesus is very orthodox. He is affirmed as being part of the Trinity, and He is declared to be God in the flesh. His death, resurrection, ascension and second coming are all confirmed. His atoning sacrifice is endorsed. The only unbiblical information about Jesus in the SDA creed is a statement about His ministry in the Heavenly sanctuary — the so-called “investigative judgment.” But this does not affect the personal identity of Jesus. This is all very confusing. The more I have studied it, the more convinced I have become that the SDA quietly talks about Jesus being the Archangel Michael because that was the teaching of Ellen G. White,31 but officially and publicly the Church has endorsed the orthodox view of Jesus. It would be refreshing if the SDA would simply drop all the double talk and unequivocally state that Jesus was God in the flesh. There has been a similar doctrinal shift with regard to the Trinity. Many early Adventists were not Trinitarian. The official SDA hymnal published from 1941 until 1985 reflected ambivalence about the Trinity. For example, the hymn, “Holy, Holy, Holy,” which says, “God in three Persons, blessed Trinity,” was changed to read, “God overall who rules eternally.”32 Today, the creedal statement of the SDA affirms the orthodox view of the Trinity. The second characteristic of a cult is the proclamation of a false Gospel. Cults always end up teaching some form of works salvation. This usually leads to the production of a list of “dos and don’ts” which are then rigidly and legalistically enforced by the cult leaders. This is the area where the SDA begins to definitely fail the test. As I have demonstrated, the SDA teaches a form of works salvation. Instead of asserting that we are saved by grace through faith, they claim we are saved by faith plus works that satisfy the “investigative judgment” plus Sabbath observance. That is not the Gospel of the New Testament, and Paul says that “even if we, or an angel from Heaven, should preach to you a gospel contrary to that which we have preached to you, let him be accursed” (Galatians 1:8-9). A third characteristic of a cult is that it is based upon a charismatic founder who considers himself to be either the true Messiah or the last prophet of God. Classic examples are Joseph Smith, founder of the Mormons, and Sun Myung Moon, the leader of the Moonies. This is a serious matter since the writings of Ellen G. White are full of biblical errors, inaccurate prophecies, and downright silly commandments. Also, much of her writing is plagiarized. The fourth characteristic of a cult is that there are always some extra-biblical writings that are considered to be equal to or superior to the Bible. The Mormons have their Book of Mormon and the Jehovah’s Witnesses have their own eccentric and highly inaccurate “translation” of the Bible. The Children of God look to the letters of their founder, Moses David (David Berg). The proclamations of Herbert W. Armstrong and Reverend Moon have been considered holy and infallible by their followers. — E. E. Cleveland, one time Secretary of the General Conference. — Stanley Harris, SDA pastor. — Raymond F. Cottrell in a talk to the Association of Adventist Forums. Dr. Cottrell was the former editor of the Adventist Review and served as a collaborator on the Seventh Day Adventist Bible Commentary series. “A further word needs to be said about our being ‘loyal to our heritage and to our identity.’ Some would have us believe that there have been significant shifts in recent times in regard to doctrines that historically have been at the heart of Seventh-Day Adventism. Notice carefully the wording, “the Bible, supported by the writings of Ellen White.” Does the Bible really need the affirmation of an external, human writer? I think this statement makes it clear that to this day the leadership of the SDA considers the writings of Ellen G. White to be on a par with the Scriptures, and that is clearly a cultic characteristic. A fifth characteristic of cults is their exclusivistic and sectarian attitude. They always view themselves as God’s only true church and refuse to have anything to do with other Christian groups. They also tend to be secretive in nature — as evidenced by the secret temple rites of the Mormons. SDA leaders have toned down their public statement of these sentiments in recent years because of their desire to gain acceptance as a legitimate expression of Christianity. Another motive has been the desire to gain access to Christian television and radio networks. Their strategy has worked, but the change in attitude is only cosmetic in nature. Although the SDA operates much more openly than do the Mormons and JWs, they are still characterized by a commitment to secrecy when it comes to interacting with the public. This is manifested in the way they try to hide their identity when attempting to communicate with non-members. Their publications do not reveal their SDA origin or affiliation. Either the publisher is not identified or the publisher is a non-descript entity like “Pacific Press” or “Pilgrims’ Press.” Ellen White’s most famous book, The Great Controversy, is often distributed under the title, America in Prophecy. And her name on the title page is often printed as “E. G. White.” This is obviously done to hide her gender and to keep her from being easily recognized. Since beginning my in-depth research on the SDA, I have gotten on several of their mailing lists. I recently received a mailing from their number one media outlet, Amazing Facts. The mailing encouraged me to distribute a video called “The Final Events of Bible Prophecy.” It gave detailed instructions about how to go door-to-door in an effort to convince all my neighbors to watch this propaganda piece. Part E of the instructions was entitled, “Addressing Denominational Questions.” I was told that if I were asked, “What church are you with?” I was to reply: “I am representing Amazing Facts, a Christian ministry that provides Bible study resources for people of all different faiths. My goal is to encourage others to read the Bible and learn how to find God.”46 In short, do not reveal that you are in any way related to the SDA! This is deception, pure and simple. The sixth and final characteristic of a cult relates to governance. The cults tend to be authoritarian, dictatorial, and sometimes even totalitarian. Someone at the top — either an individual or a collective group — calls all the shots. The classic example of this trait can be found among the Mormons and JWs. So, where does this leave us? Is the SDA a cult or not? I have proposed six tests. The SDA failed all but one of them — the one concerning the identity of Jesus. And there are serious questions about that one. I am convinced that Walter Martin declassified the SDA as a cult in 1965 because he became convinced that they had an orthodox view of Jesus. To him, that was the acid test. I would agree that it is the most important one, but the group’s perverted concept of the Gospel must be ranked as almost equal in importance because of Paul’s warning in Galatians 1:8-9. I therefore must conclude that the SDA should be considered a cult until they are willing to repudiate the “Investigative Judgment” doctrine and are willing to clearly state that the Bible, and not the writings of Ellen G. White, is their final authority in all matters. “As you may know, Walter Martin was my mentor and dear friend for 20 years and spoke at my ordination. I was to have lunch with him the day he died in 1989. Walter had a real influence on many of the SDA leaders in the 70’s and early 80’s seeking to move them to a Biblical position. Many were, and there was hope for the SDA Church. Walter Martin, Kingdom of the Cults (Bethany House, 1965), p. 517. Walter Martin, The Rise of the Cults (Zondervan, 1955). For a detailed article about William Miller see William Miller: The Sincerely Deceived Prophet by David R. Reagan, (05/16/2006). Christian Apologetics & Research Ministry (CARM), “The History of the Seventh-Day Adventist Church,” www.carm.org/sda/history.htm, p. 1 (02/04/ 2006). www.white estate.org/about/egwbio.asp, p. 2 (02/23/2006). Melton, J. Gordon , Encyclopedia of American Religion, Volume 2, (McGrath Publishing Co., 1978) p. 681. Dr. Michael E. Todd, “Truth or Fable? 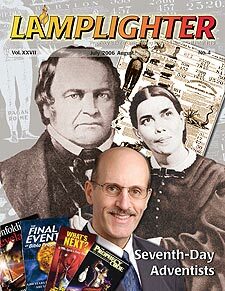 Ellen G. White and the Seventh-Day Adventist Movement,” www.biblebelievers.com/SDA/ SDA1.html, p. 13 (02/ 23/2006). Maurice Barnett, “Ellen G. White and Inspiration” (Gospel Anchor Publishing Co., 1983) pp. 5-17. Ellen G. White, Selected Messages, (Review & Herald, 1980) p. 27. 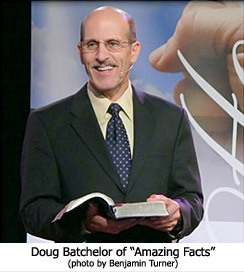 Doug Batchelor, “The Story of Amazing Facts,” flyer produced by Amazing Facts, Inc., P.O. Box 1058, Roseville, CA 95678. Further information can be found at www.amazingfacts.org. Geoffrey J. Paxton, The Shaking of Adventism (Baker Books, 1984). Good News Unlimited, “Des Ford,” www.goodnewsunlimited.org/bioford.cfm. Walter T. Rea, The White Lie (M & R Publishers, 1982). For a good summary of the evidence of plagiarism presented by this book, see the article by Walter Rea entitled “Ellen G. White: Prophet or Plagiarist?” www.bible.ca/7-WL-exhibits-Great-Contro.htm (02/26/2006). Email message dated August 17, 2005 from Amazing Facts Ministry. A detailed analysis of SDA doctrines can be found in the book, The Cultic Doctrine of the Seventh-Day Adventists (Life Assurance Ministries, 1996). This book was written by a former SDA pastor, Dale Ratzlaff. Ellen G. White, The Great Controversy (Pacific Press, 1950), pp. 480-488. Ellen G. White, Early Writings (Review & Herald, 1963), p. 65. Ellen G. White, The Great Controversy, p. 605. Ellen G. White, Early Writings, pp. 32-33. 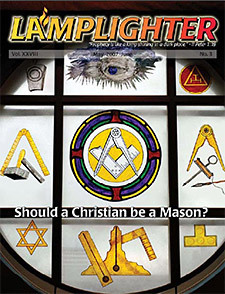 For an excellent discussion of the Sabbath issue, see: CARM. “Does the Bible allow Christians to worship on Sunday?” www.carm.org/sda/sunday.htm (02/04/2006). The American College Dictionary (Random House, 1967). For more detailed information about cults, see The Deception of the Cults by Dr. David R. Reagan, (05/16/2006). Dr. Michael E. Todd, “Truth or Fable? Ellen G. White Contradicts the Bible,” www.biblebelievers.com/SDA/SDA1.html (02/23/2006). “Ellen G. White’s Failed Prophecy,” www.bible.ca/7-prophecy-blunders.htm, pp. 1-6 (02/23/2006). The Ellen White Research Project, “Thus Saith Ellen White: The Rules and Regulations of Ellen White,” www.ellenwhite.org/egw30.htm, pp. 1-15 (05/13/ 2006). Dr. Michael E. Todd, “Truth or Fable?” www.biblebelievers.com/SDA/SDA1.html, p. 2 (02/23/2006). Seventh-Day Adventist Church, “Fundamental Beliefs.” See #32 above. The Interactive Bible, “Seventh-Day Adventists: They alone view Ellen G. White as an inspired prophet!” www.bible.ca/7-WhiteInspire.htm, pp. 5-9 (02/ 23/2006). Jan Paulsen, “Perspectives on Issues Facing the World Seventh-Day Adventist Church,” Adventist Review, May 2002.
www.sdaoutreach.org/Home/FAQ/tabid/61/Default.aspx, p. 3 (01/ 02/ 2006). Email message to the author from Tim Osterholm dated 01/16/2006. Amazing Facts, “Inside Report,” Jan/Feb 2006, p. 18. Good News Unlimited, “Des Ford,” see #17 above. Email message to the author from Ron Carlson in May 2006. For a good, overall summary, see “Seventh-Day Adventist Church Profile” by Timothy Oliver, www.watchman.org/profile/sdapro.htm (02/04/2006).